I don't usually post new albums, but I thought I'd make an exception today and we'll see what happens. So i spent a good part of today downloading and looking at some jazz releases from this year because I hadn't really been paying attention. I went to look up what EST had put out this year, only to be shocked that Esbjorn had died in June and here I am 4 months later and didn't even know. Awful. Truly awful to lose such a talent and someone who has been consistently putting out great records and really keeping modern jazz exciting. This trio is basically the biggest European name in progressive jazz in the last few years, and were the first European band on the cover of Downbeat magazine last year, I believe. Anyway, I've liked all the albums I've heard of theirs, but this one blew my mind. The first six tracks are sort of all over the place, but still flow really well. The "Premonition" tracks are great, and the ones that follow are more based in jazz. The album closes with a suite named after the album, and it is experimental and really cutting edge and exciting. A really engrossing record that is out there, but not necessarily by being really loud and abrasive (though it is not subtle either). Definitely one of the best "first listen's" of a new album this year. Highly recommended. Considering that this is the last we will ever hear from the wonderful e.s.t (pianist Esbjorn Svensson having tragically died in a diving accident earlier this year, at the age of 44) it's impossible not to feel sadness while listening to Leucocyte. Yet it's not for just the passing of one of the world's most talented jazz musicians. It's also for the fact that a band, so psychically linked and at ease with each other should, at this fascinating stage of their development, be robbed of the chance to grow and change as they undoubtedly would have done. Composed of childood friends Svensson and drummer Magnus Ostrom, along with bassist Dan Berglund, e.s.t's last album, Live In Hamburg, seemed to be drawing a line under the ECM-friendly-with a-touch-of-rock-trio period of their career. Equally at home on the festival as well as jazz circuits, you could feel it was time for a change. Leucocyte reminds you that, despite carrying the pianist's name, the trio were a band of equal thirds. It's Berglund's earthy tones that drive much of the first half of the album. Following the delicate introductory meditation, Decade, Premonition sounds hungry for just such a change. The feedback and distortion are comparable to Australia's Necks, but under it all Svensson's voice echoes the changes, and his keys can never resist the Jarrett-esque flourishes that trip lightly over the atmospherics. Not once does the soloing take the place of progression and thematic exploration. And the attack always veers towards that rock aesthetic that rears its head most ironically on the number entitled Jazz. But it's the album's second half suite, Leucocyte, that indicates where the trio were headed next. Mixing in far more electronics; erasing melody, leaving just the warp and weft of instrumental texture, and even (on part two's Ad Interim) resorting to total silence: it shows us a band that were now fearless and confident enough to really experiment. 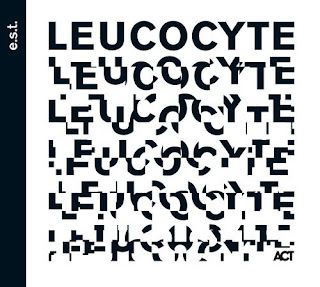 Leucocyte is far from a perfect album, and that's why it's so heartbreakingly good. It's unsure in parts, and occasionally too wilfully rough. But it's a pointer to a future that's been cruelly denied us. We can only dream of what might have happened next. But thank goodness we have this to remember Svensson by. It's a testament to an artist whose life was always a work in progress.